The best recipe for your weekend? 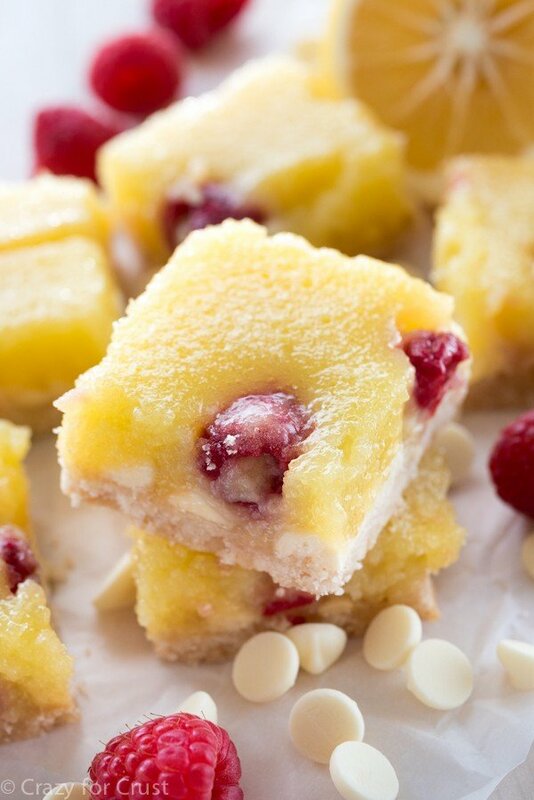 Easy one bowl White Chocolate Raspberry Lemon Bars! It’s been approximately 11 days since I posted something lemon. That’s too long, in my book. Don’t you agree? I am so addicted to all things lemon. But you already knew that…because I ramble on and on about it every time I share lemon goodness with you. I think my favorite way to eat lemon is in a lemon bar. The thick crust, the gooey lemon filling…it’s the best and makes me drool just thinking about it. 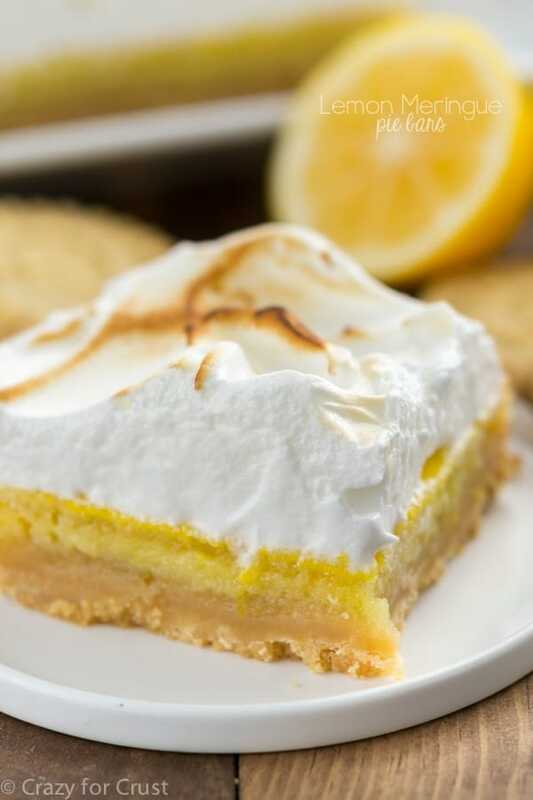 Tart and sweet, lemon bars are the perfect combination of flavors. Right? Isn’t that gooey calling your name? It sure is calling mine. Over the years of being a food blogger I’ve learned a lot about dessert. Mostly, I’ve learned how much I like to overeat it, but I’ve also learned about pairings that go so well together. Chocolate and mint, peanut butter and chocolate, caramel and pretzel…I could go on for days. Plus, this recipe takes just a few minutes of prep and only uses one bowl. I’m super excited about it because this is my first recipe as part of the Krusteaz Bakers Dozen! If you’ve never tried the Krusteaz Lemon Bars, you’re missing out. It’s one of my favorite mixes because it tastes so fresh and gooey. And you only need one bowl for the whole box! This recipe couldn’t be easier, thanks to the simplicity of Krusteaz. I love turning to mixes to help me get my recipes done fast. The faster I’m done baking, the faster I’m back to hanging out with my family and making memories of eating delicious lemon bars. I hope you love this recipe as much as we did. And I hope you love how fast it is to make! 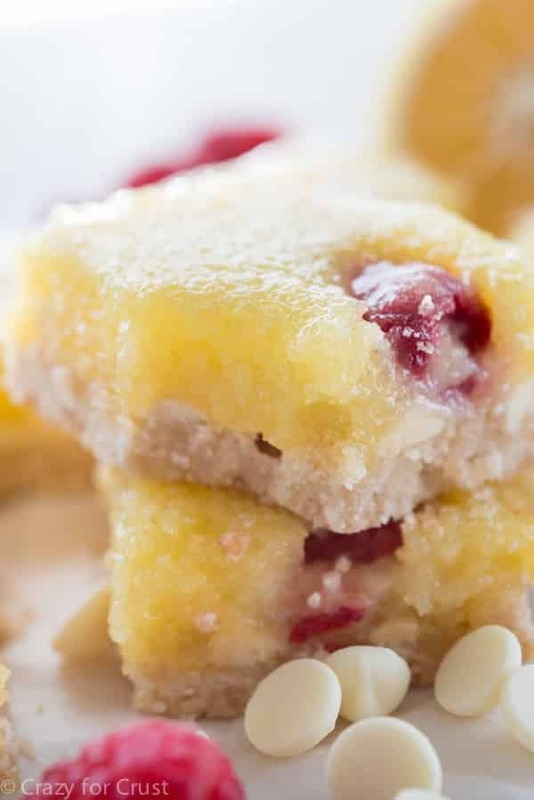 White Chocolate Raspberry Lemon Bars are the easiest lemon bar recipe! 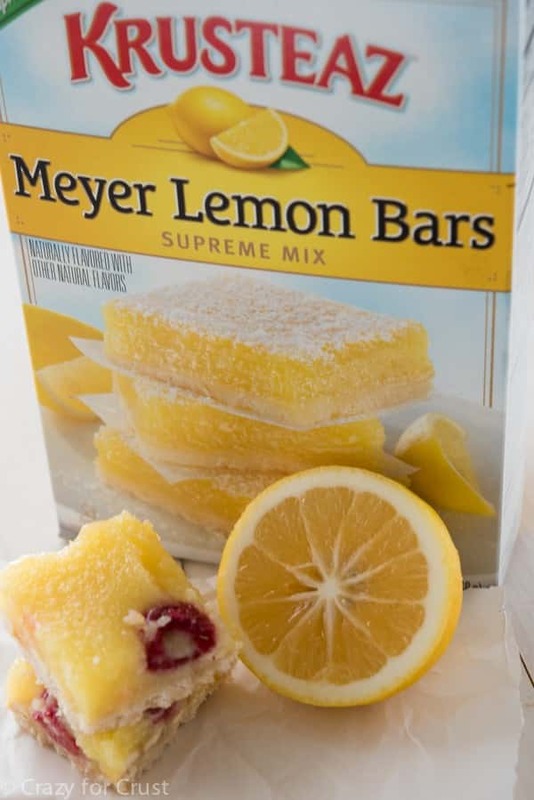 They use a Krusteaz Lemon Bar mix which makes them so lemony and rich! This post was sponsored by Krusteaz. I’m part of the Krusteaz Baker’s Dozen this year and am excited to bring you recipes using their mixes. Thanks for supporting the brands that help make Crazy for Crust possible! This is definitely a great way to start the weekend! I want one now!! Combination of flavors sounds so good! And looks really amazing! Lemon and raspberry is an amazing combo, but I have never tried it with white chocolate but it must be good! Perfect recipe for the weekend, pinned! That second picture totally had me swooning over these bars… SO gooey and melty. Drooooling! Sounds delicious! I love Krusteaz Lemon Bar mix and use it often. A little trick I use is to use 1/2 water – 1/2 lemon juice, instead of all water. It gives it that little extra tart lemon kick…yummmm! Love lemon bars and never thought to add white chocolate. Usually when make lemon bars I replace some of the water with some lemon juice to bump up the lemon flavor. Overeating dessert is a food blogger’s JOB, Dorothy. Consider it a form of creative expression! It’s a pretty good job perk, too. Lemon bars are always sneakily addictive. I think I won’t want any, and then I wind up eating 17. The additions you made will make them even more dangerous. Raspberry and white chocolate are so good! These are soooooo pretty! Your photos really bring desserts to life. And they look refreshing and delicious (love all things raspberry and lemon). And thanks for another easy dessert! You had me at Lemon Bars! I bet the raspberry and white chocolate just knock these out of the park! These look so refreshing and delicious! 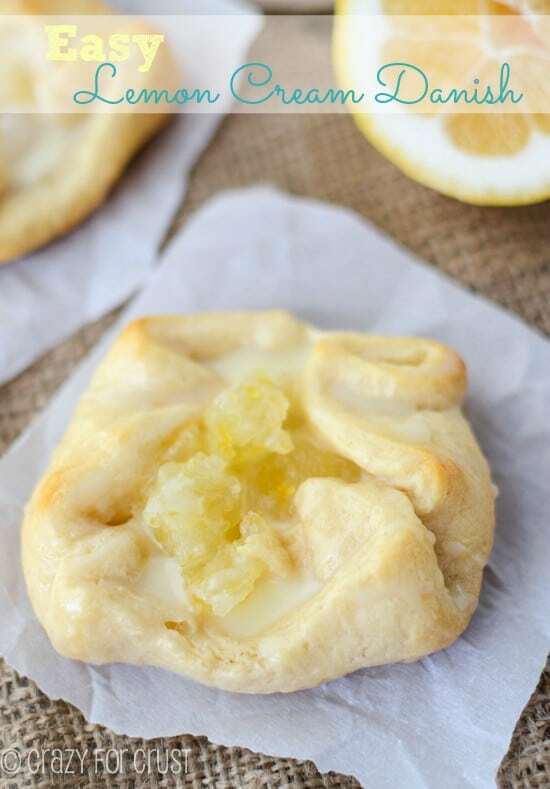 Gosh, lemon desserts are just so perfect for summer. These bars are absolutely gorgeous, Dorothy! 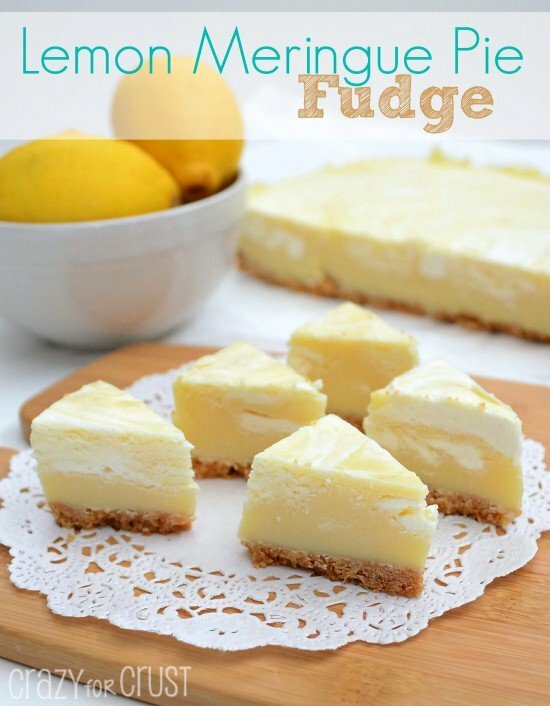 Lemon desserts are my favorite! I love the white chocolate and raspberry combo – so gooey and delicious! No liquid used for the crust? Am I reading that right? That’s correct! I thought it was strange to, but it presses together just perfectly. The mix has the fat already added!